On Friday we saw Extra WNY, and today we'll be looking at a store just about two blocks south across the street. 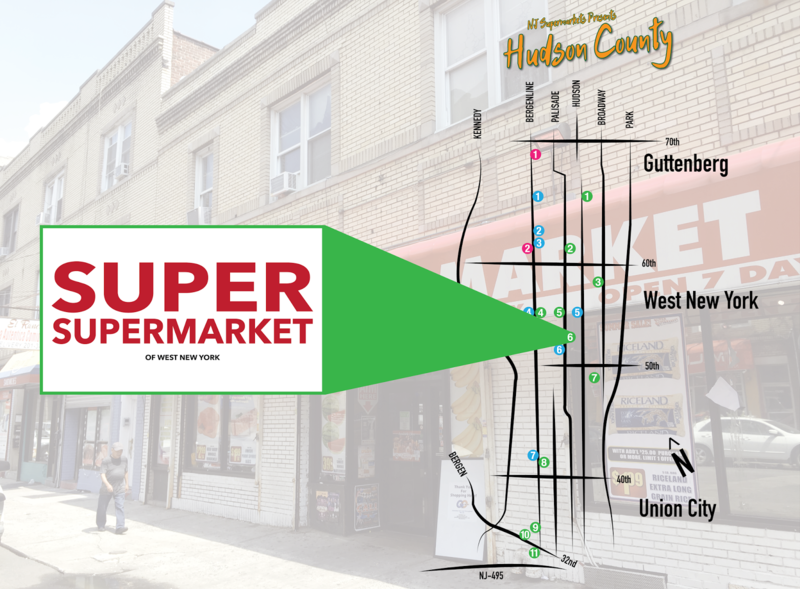 Like Extra, which isn't affiliated with the Extra chain, this Super Supermarket isn't affiliated with the Super Supermarkets chain. In this case, though, they do share a distributor with the chain (General Trading). 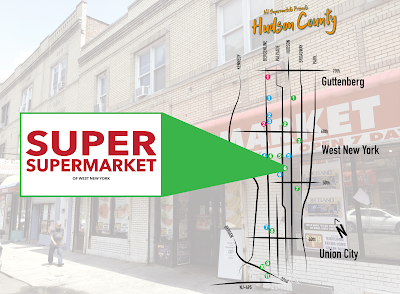 Super was previously an Associated Supermarket, which at the time was Associated's only location in New Jersey. (There is now one in Pennsauken, NJ, which opened recently. According to Google street views, the switch to Super happened some time between 2012 and 2015. The lower portion of the building has also been painted white. Personally I would have done the whole building white or left the whole building as it was, but I shouldn't complain too much. I understand that this is a small (probably single-store) operation. And bearing that in mind, Super was impressive. Why? Two big surprises for me were in store (ha ha) at Super. First, they pack a LOT of selection into a tiny space, including a substantial fresh produce aisle, a butcher, and a deli. Second, and more importantly, the store was spotless. My local ShopRite could take a tip from them and clean up a bit. Now, I hope that doesn't mean there's no one who ever shops in the store. When I was there, Extra was busy, and Super was empty. But let's head inside. Unfortunately, one of the consequences of the store's small size and large selection is that it's quite cramped. If it ever did get busy, it would be a nightmare to shop. Produce lines the first aisle with a double-wide section in the first half of the left side. Quite a selection of produce for such a small store. And kudos to them for offering bananas for just 49 cents a pound, while other small stores will go up to 79 and 89 cents. Here you can see just how small the store is, since I'm standing in the first aisle looking across the front-end. I think there are five aisles. And of course, a bulk foods bar. Those price tags are provided to stores by the warehouse, General Trading. Fine Fare uses these orange ones and Shop Fair uses a dark-blue variant. Sometimes they can be customized, like these green ones for Olive Tree, which was previously a Shop Fair. Here we're about halfway down the produce aisle looking up towards the front of the store. You can see just how clean the floor is and how meticulously-stocked the produce is, right down to the herbs on the top shelf. 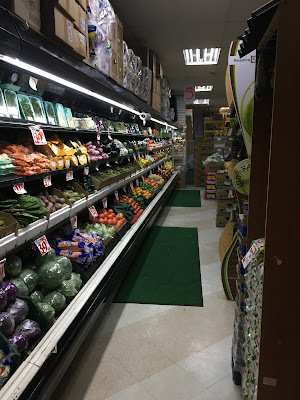 However, the store's small size once again leads to some strange corners, this one at the start of aisle 2 (behind the produce department). Aisle one continues to the right of the shelf here. There are seriously convenience stores out there (probably ones like Wawa or Sheetz) that are larger than this store! Once again, hats off to Super for having replaced all of the light fixtures in the store with brand-new LED ones, except for this single panel! If I remember correctly, this is the second aisle looking towards the front of the store. I believe the aisles are numbered in half, so the front of the first aisle is #1, the back of the first aisle is #2, the front of the second is #3 (here), and so on. I think this shot was taken looking towards the front of the store, but I'm not sure what aisle it's in. You can see soap in the earlier picture from the produce aisle...so this might be the second aisle. This is the entire width of the store. Here we see the butcher counter, with deli in the far corner. As you can see in these pictures, this store was completely empty. No more than two or three other customers and two employees, I think. Again, for such a small store, the butcher is very large. While the floor is on the older side and patched multiple times, it's also very clean. The store stocks all the basics. Also notice how high the shelving is, which of course increases the selection of products that the store can stock. The bread, coffee, and international aisle. Also the store's bakery department in the case on the left! 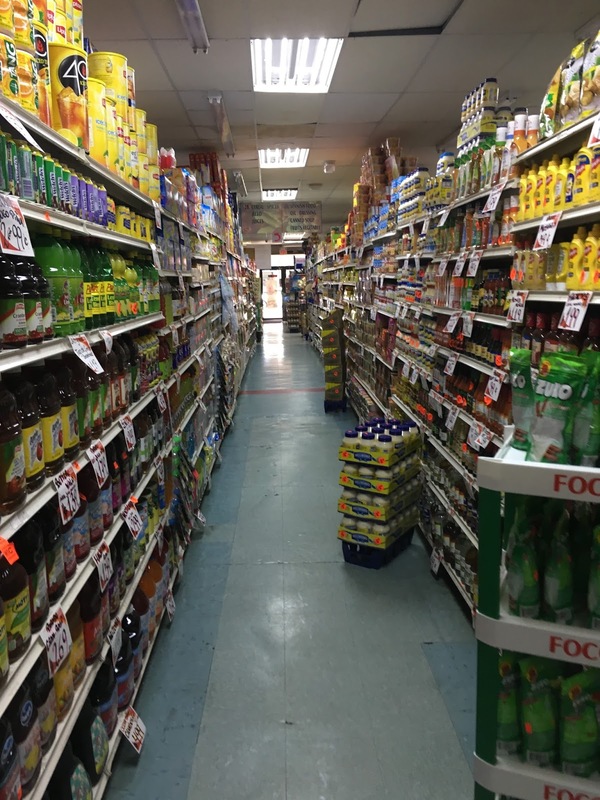 The last aisle, seen here from the front of the store looking back, has frozen foods. I believe dairy is back in the first aisle. Check out those brand-new cases! The cases on the left are the store's only packaged meats section! Here we're looking towards the deli on the back wall. 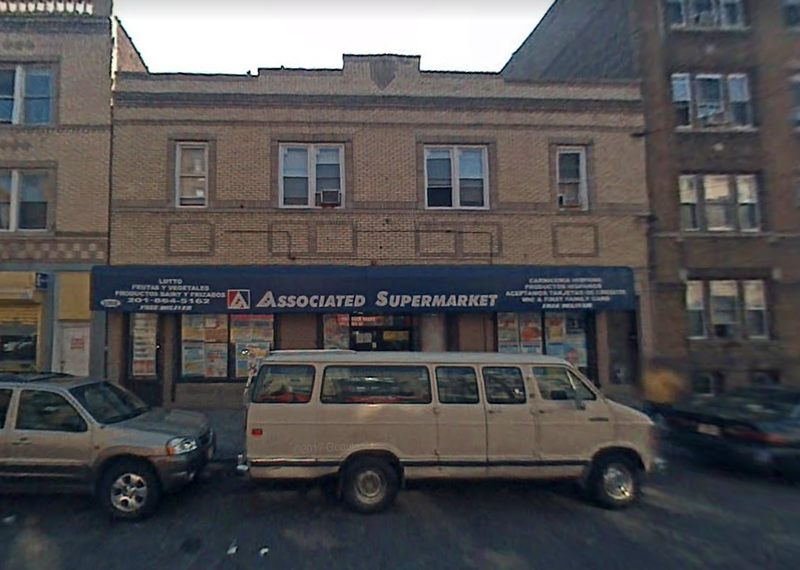 A real "corner deli" here, with the cold cuts section on the side wall. Looking up towards the front wall of the store from the back deli area. 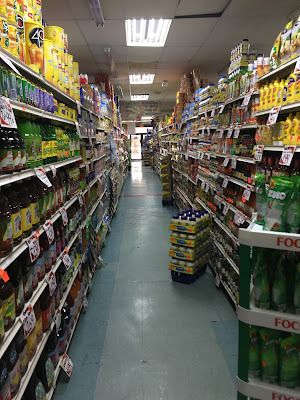 This is the entire length of the store, so you can see how small it is. There are two registers here at Super, with one open the day I visited. I don't believe there's a dedicated customer service desk here either. Super's biggest appeal for me was how spotlessly clean the entire store was. But as I said, I just hope that doesn't indicate the complete lack of any customer traffic, especially with Extra right up the street!